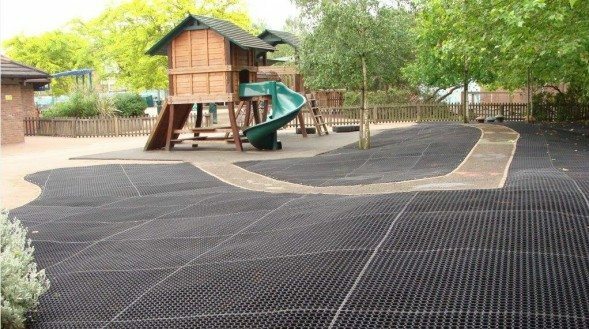 Different types of playground flooring finishes each come with their own, unique benefits. So to really make the most of the available options, you can install multiple surfacing types on a single site! 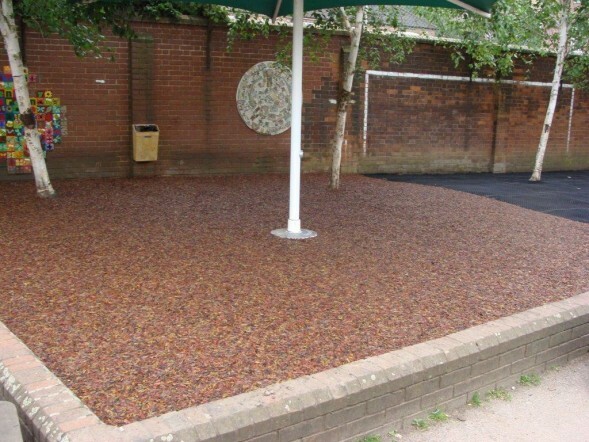 Adding some new areas of surfacing against existing flooring is a great way to give your play area a quick makeover. Which is perfect if you’re working with limited funds, or trying to use up remaining budget for the year. The images you see here are from a school who wanted to make the most of a variety of textures and surfaces, alongside their existing playground flooring. They chose to use JungleMulch in areas of high footfall, where bright colour tied in with their timber equipment and artwork. This finish also worked perfectly around the playground’s trees as it can be installed over roots, leaving the existing planting to act as shade. 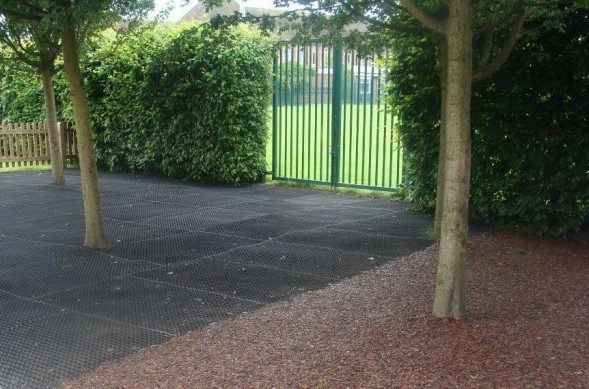 They were able to reduce costs by retaining the existing wetpour in areas designed for heavy-use play, and then protected the surrounding landscape by using grass matting. This was the ideal surface as it offered ground protection in seating areas; which will in time provide a natural finish when the grass grows through the matting. The combination of existing and replacement surfaces blended beautifully, while still working with the existing landscaping and playground design. This provided a practical solution to the surfacing requirements but didn’t detract from the look of the outdoor space. If you’d like to learn more about combining surfacing options, or would like to discuss an upcoming project, get in touch with the team here at PlaySmart!